If there’s a flaw in modern shopping mall development, it’s that most malls developed or extensively renovated in the last decade and a half lack drama. Natick Collection totally bucks that trend. The Natick Collection (which was, until very recently, known as the Natick Mall) has been big news here in New England since it opened on September 7. With the center’s dramatic new expansion, the Natick Collection is suddenly New England’s largest mall, with somewhere between 1.7 and 2 million square feet of floor space. 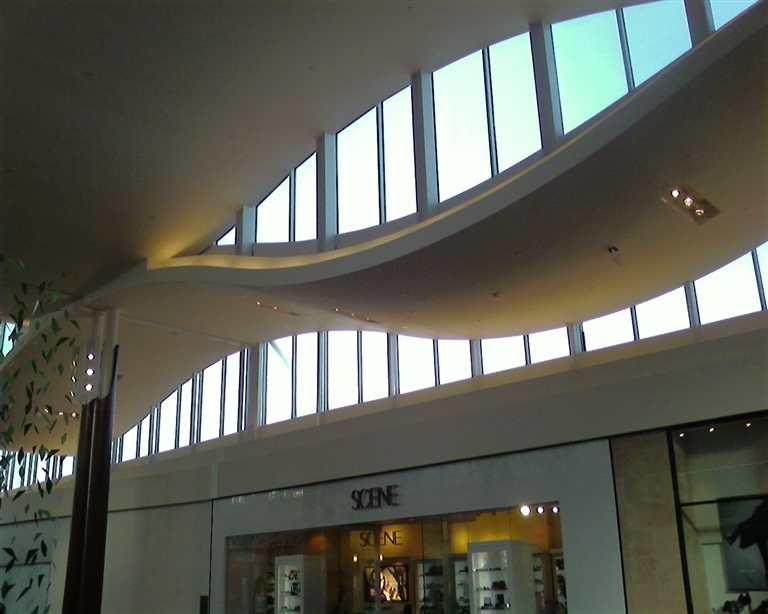 But as you’ll see from these pictures, it’s also easily the most dramatic; with vaulted, undulating ceiling lines, a faux-white birch forest, and some truly daring external architecture, Natick Collection strives to be a place you want to go, not just a place you can shop. It could (and probably should) be a model for how to maintain the relevance of super-regional malls. There’s kind of a long and complicated history of this mall, so it’s necessary to step back a bit. The metrowest region of Massachusetts (or is it better defined as a region of “Boston”?) is a populous and affluent suburban area about 20 miles west of downtown Boston, along the Massachusetts turnpike. Like most New England suburban areas, it’s relatively diverse, from the post-war suburbia of Framingham to extremely affluent enclaves like Weston, but Boston’s western suburbs have long been amongst some of the wealthiest in New England, and they continue to grow in population. In the 1960s, when this area was first beginning to attract a substantial population base due to suburbanization, the area frequently known as the “Golden Triangle” began to emerge as a shopping district. Defined roughly as the triangle created by Route 9, Route 30, and Speen Street along the Natick/Framingham town line, the Golden Triangle became one of the largest and most active shopping districts in New England, and has been home to (at one time or another) no less than five enclosed shopping malls and many other smaller outdoor shopping centers. 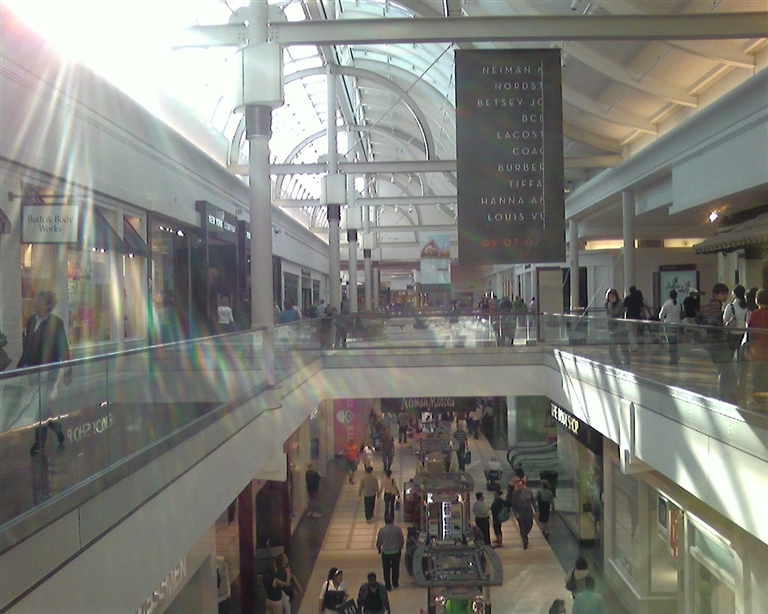 The Natick Mall itself opened in 1966, and some reports have placed it as the first enclosed shopping mall in Massachusetts (I thought this distinction belonged to the Westgate Mall in Brockton?). 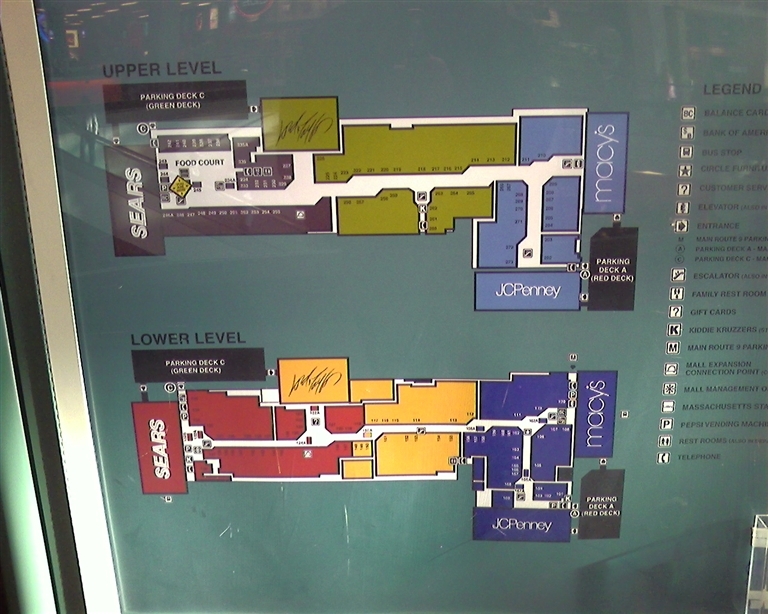 At the time, it was a small one-level mall with Filene’s and Sears as anchor stores, and around 30 or so stores in the interior. 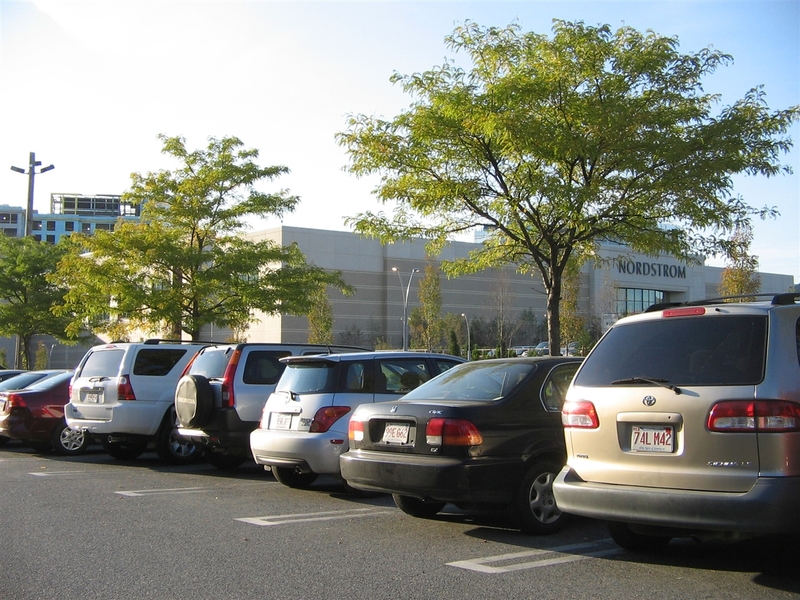 In size and influence, it was somewhat dwarfed by its neighbor, the outdoor (but mall-style) Shoppers World, and in later years by the many other small enclosed malls to spring up in the neighborhood, including the Cloverleaf Mall, the Framingham Mall, and the mysterious, nameless Route 30 Mall. 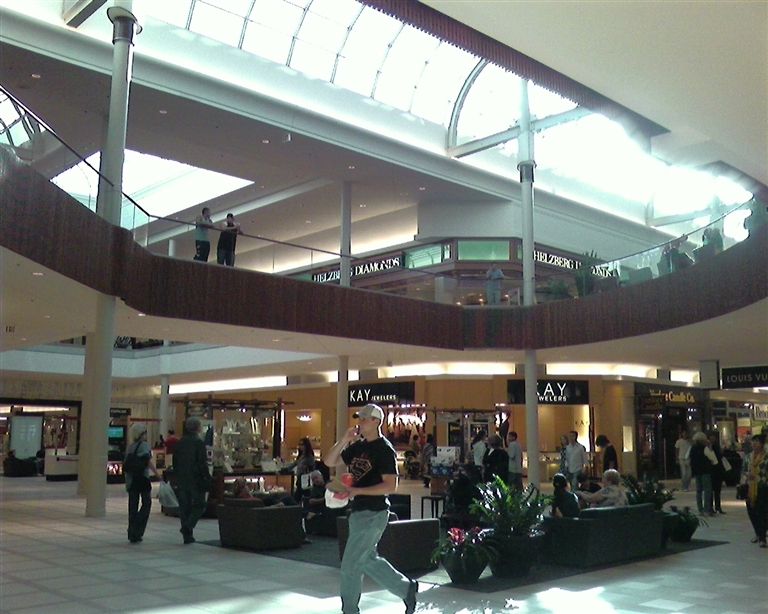 By the early 1990s, the facility was beginning to look seriously dated and it was also woefully undersized; the Mall at Chestnut Hill and Atrium Mall a few miles to the east in Newton were pulling most of the business from the Natick/Framingham area due to the lack of a single major mall as a focal point. 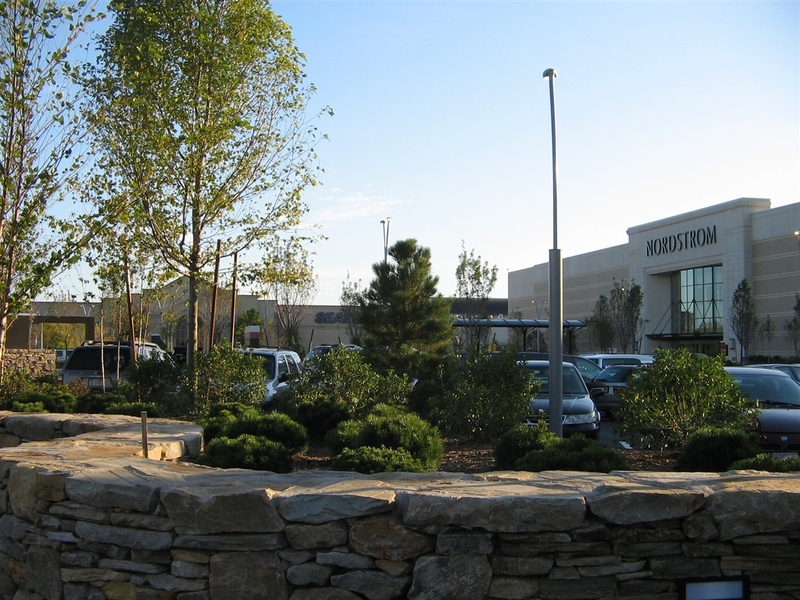 In 1992, Homart Development acquired both the Natick Mall and the neighboring, outdoor Shoppers World, and developed a master plan for the entire parcel. Shoppers World would be “de-malled” and turned into a big box center, and the Natick Mall would be dramatically reconfigured. Truth be told, the “original” Natick Mall ceased to exist at this time. Except for the Filene’s store, which was dramatically remodeled and expanded, the entire mall was demolished (click for video!) 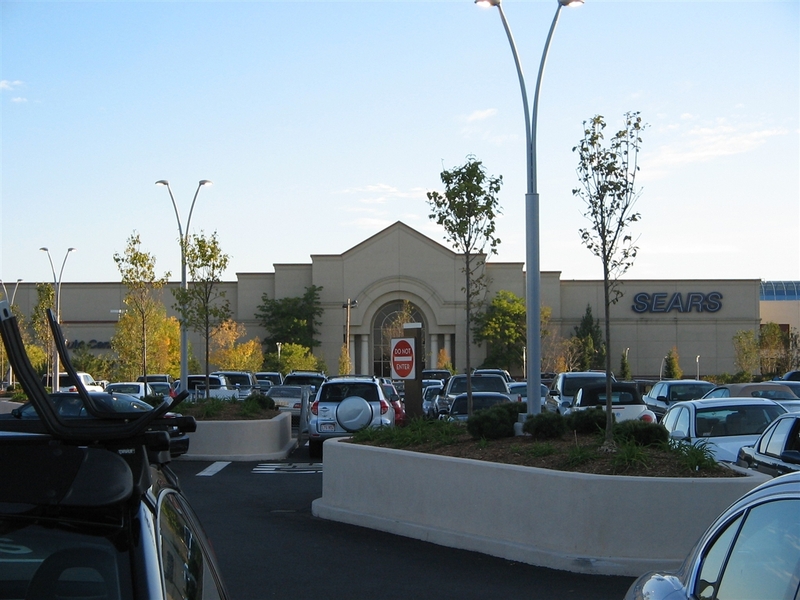 and replaced by a larger two level structure, which included a new Sears store (built further down the lot than the older store, to accomodate for a larger mall space) as well as two other anchors: A Lord & Taylor and the final Jordan Marsh store ever constructed. The new (ca. 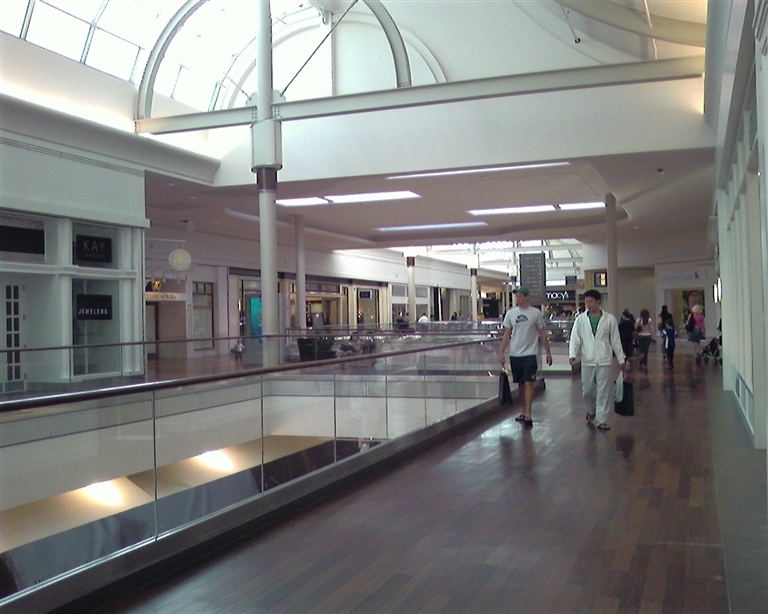 1994) Natick Mall opened with over 100 stores and approximately 1.2 million square feet of floor space. 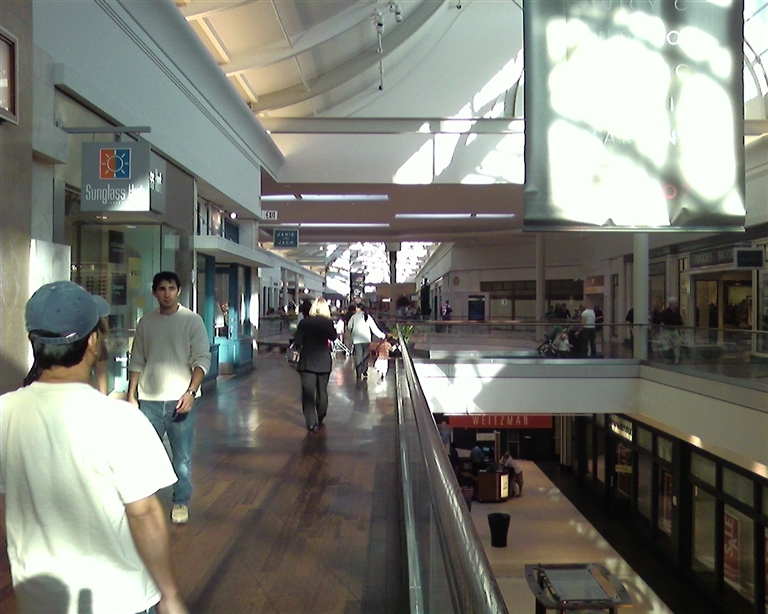 The 1994 Natick Mall became the dominant retail center in the metrowest area as a result, and caused the downfall of the area’s remaining small malls, including the Cloverleaf Mall, Framingham Mall, and Route 30 Mall. 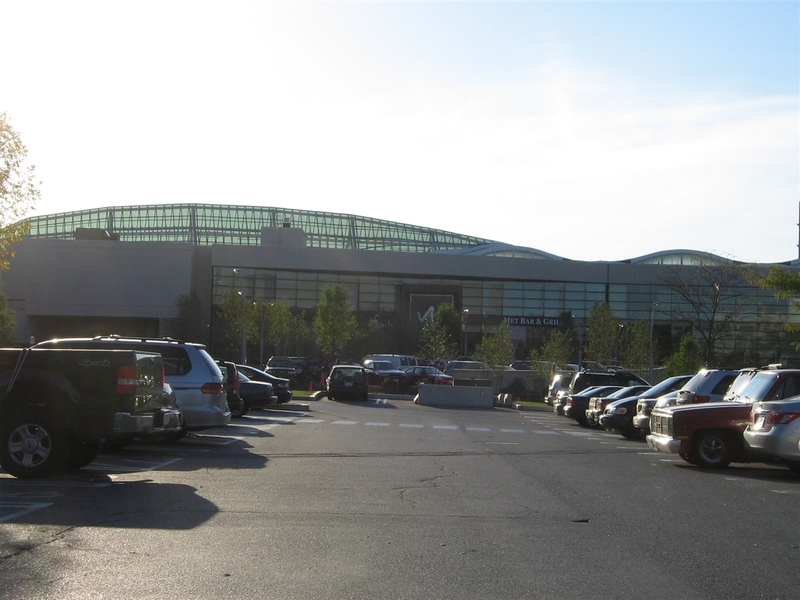 In 1996–two years after Natick opened–Solomon Pond Mall, a second major mall, opened about 20 minutes away in Marlborough, and since the two centers have co-existed peacefully as the major enclosed malls in the area. 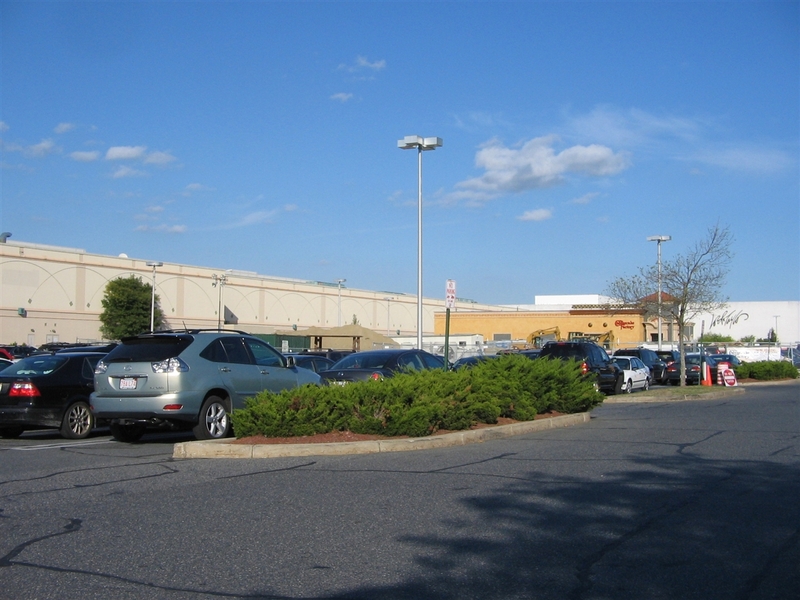 But realizing that there was a trend towards larger, super-regional malls (and that Natick Mall’s store roster was pretty straight down the middle and indistinguished), the mall’s owner–now General Growth Properties–announced in 2002 their plans to acquire the adjacent, vacant Wonder Bread factory and add a significant expansion of the Natick Mall to accommodate more upscale tenants. After many negotiations and false starts that woudl last many years, all of which are detailed on the Framingham/Natick Retail Website, it was announced that the expansion would add two anchor stores: Neiman Marcus and Nordstrom, as well as 65 other stores and up to 4 new restaurants. Perhaps even more interestingly, the development would incorporate a 12-story condominium tower attached directly to the new wing of the mall. Construction took place through most of 2006. 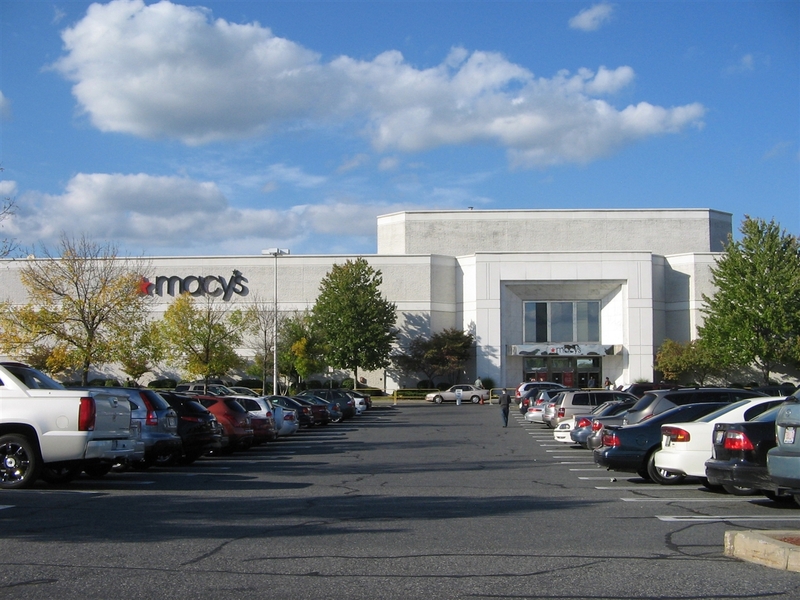 During this time, the Federated/May merger caused more shake-ups at the mall, as Macy’s vacated their space (which, again, was the former Jordan Marsh) to move into the former Filene’s, the only building that remained from the original 1966 mall–albeit in dramatically reconfigured form. The vacant Macy’s store was quickly snatched up by JCPenney, who has a limited presence in the Boston market. 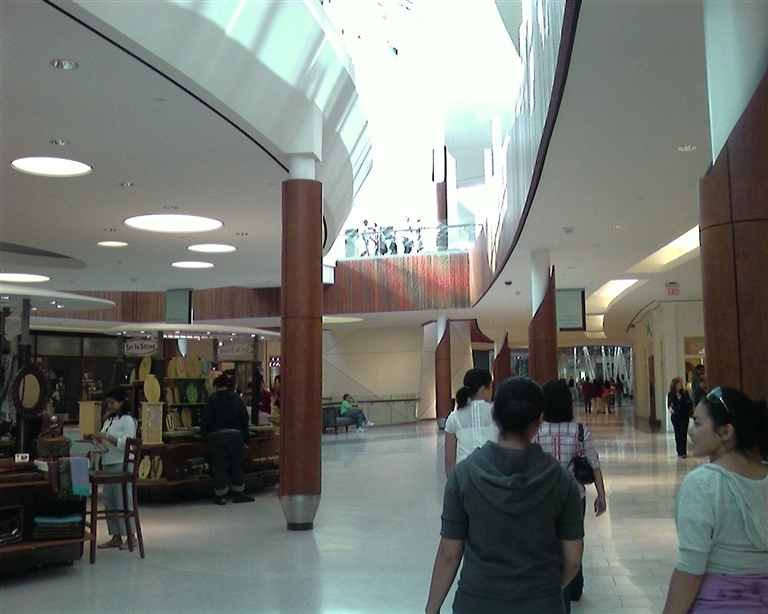 The older portion of the mall was also renovated to complement the expansion when it was ready to open. During this time, GGP announced their plans to rename the mall simply as “Natick,” a plan that brought on strong opposition from the community, and was dumped in favor of the (almost as) obnoxious “Natick Collection,” which sticks to today. 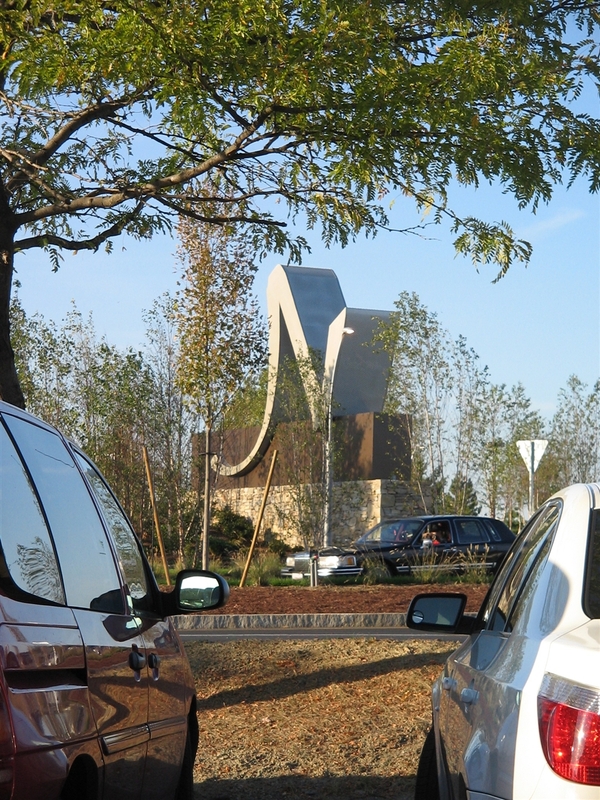 On September 7, 2007, the newly expanded Natick Collection opened to much fanfare. The expanded mall includes six anchor stores: Macy’s, JCPenney, Lord & Taylor, Sears, Nordstrom, and Neiman Marcus, as well as over 200 specialty retailers. 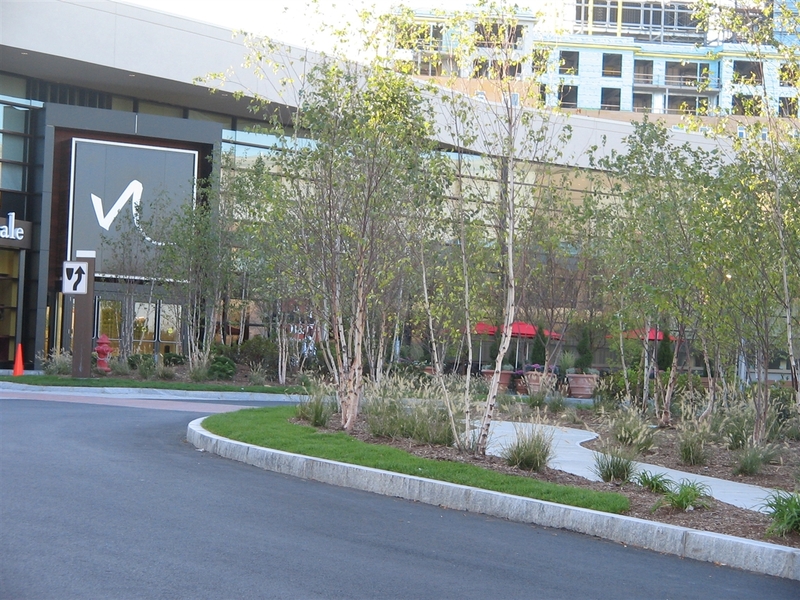 The Natick Collection is now the largest mall in New England, and reportedly the fourth largest on the East Coast and 12th largest in the United States. As of October 2007, construction is underway on a small lifestyle village along the route 9 facade, and when complete will include restaurants such as Maggiano’s Little Italy and Cheesecake Factory. The remainder of the exterior features dramatic, lush landscaping (as shown in these photos) and some truly unusual architecture, especially at the Neiman Marcus building. 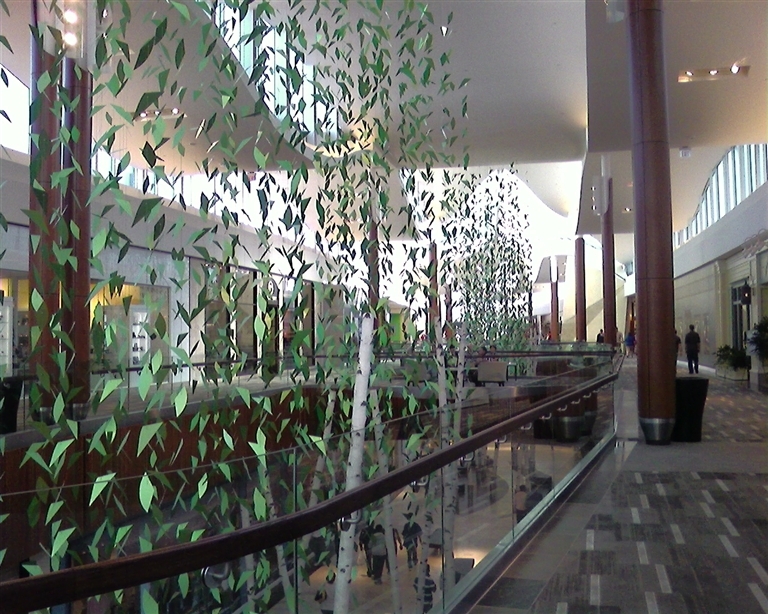 Inside, the new wing of the mall sports dramatically undulating ceiling lines, a lush “birch forest,” and a spacious center court with a sweeping fountain. The old wing has also been renovated to incorporate hardwood floors on the second level, and the colors have been softened throughout. What can we say? We’re impressed. 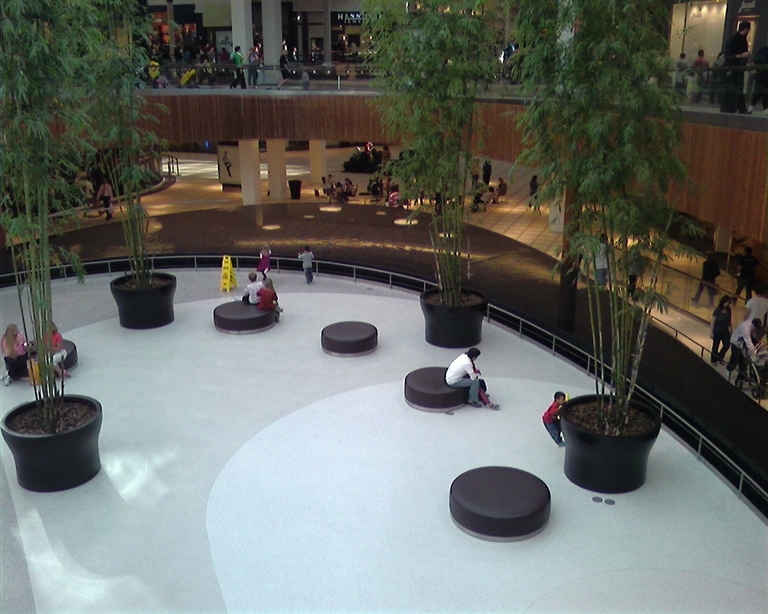 For a long time, malls have been treated as disposable entities, not as interesting places to gather. 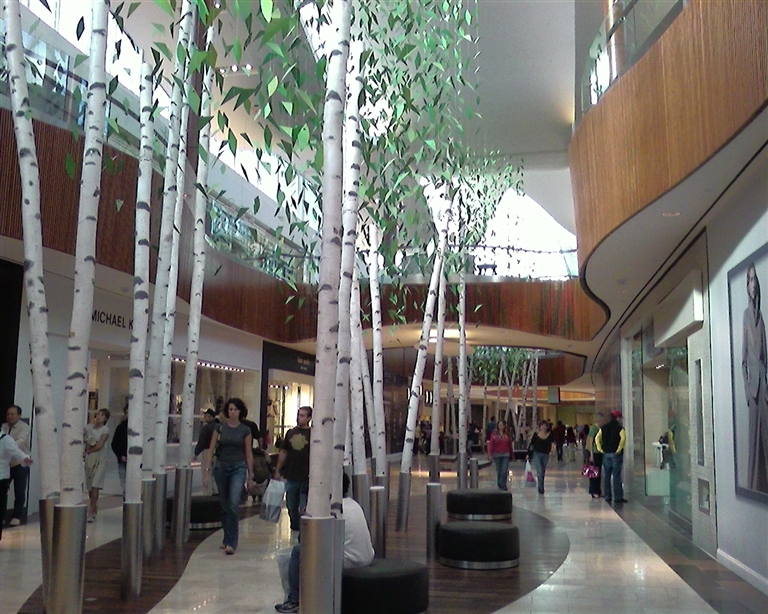 The consideration that went into a center’s architecture was usually limited to discussions on how to maximize sales. General Growth’s approach with Natick Collection places the center as a kind of modern cousin to some of the stunning, classic Victor Gruen malls, and that’s very high praise. WOW! I cant wait to visit. Wow! You know I rarely see vision and class displayed in today’s renovated or expanded malls. This is a refreshing change that reminds me of such vitality mall decor had in the 1960’s, though not nearly as eccentric or experimental. Such modern appeal, it’s hip and sleek (like that large, orange road pillar). I don’t usually use this word when describing malls these days, but it’s very elegant. I’m impressed, especially with Neiman Marcus. Wow! A condominium IN A MALL! Perhaps the years of the malls can rise again. 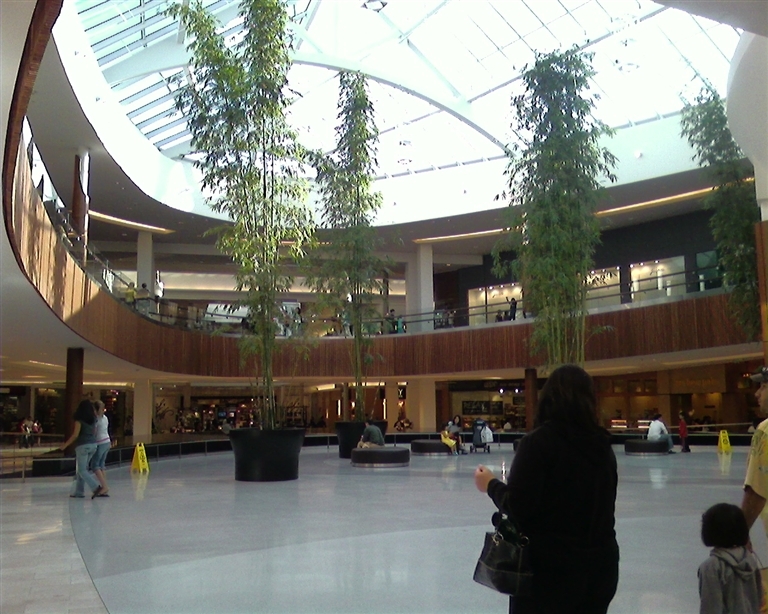 You know, Southdale Center once had a whole “village” proposed around it, but it never came to fruition. Very impressive…apparently, the expanded Quakerbridge Mall in NJ will have the same anchor lineup…just hope they can do in QB what they did in Natick. Tysons Corner is also proposing building housing at the mall, especially with the Silver Line expansion that will be going right past. 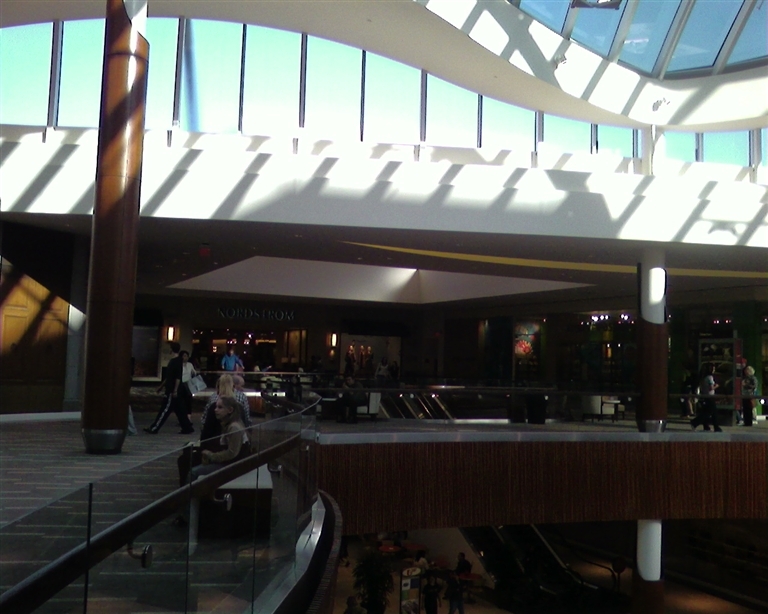 The new Natick Collection looks as though it could definitely rival some of the great malls on the east coast. Recently visited the Natick Collection a couple of weeks after the opening. The new addition is nice with upscale stores for the area. An interesting thing is that whith buildouts going on for a new store, the usuall plywood facade as been covered over with a picture of the store front to occupy the space. Nice touch as it beat the standard “coming soon”. The “birch trees” do look great in pictures but in person, not so good. They do look a little cheap. One of the problems that the mall is now going to have to overcome is that Williams-Sonoma and A & F have moved to the new addition leaving very large empty stores fronts in the original mall that will need to be filled. 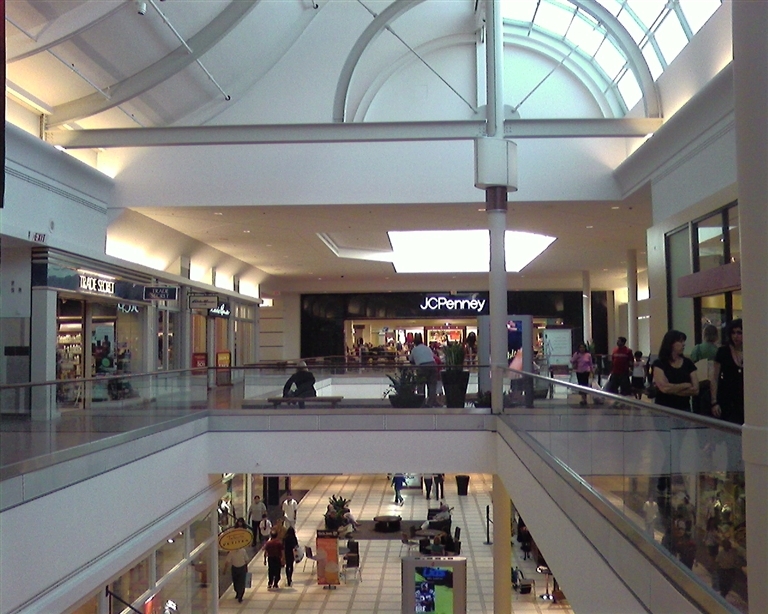 Also, the transition from the new part, which is nice an open and airy, to the old part of the mall is as differerent as night and day with the old part feeing very crampt and unkempt, even with the repaint. Worth a trip to scope it out, but not on the weekend between now and the holidays as the traffic in the Golden Triangle is horrible. That’s pretty damn impressive. Someone I work with told me I really needed to make the trip out there to see it, but I assumed that was just overblown excitement at no longer having to go to Providence Place for Nordstrom’s. 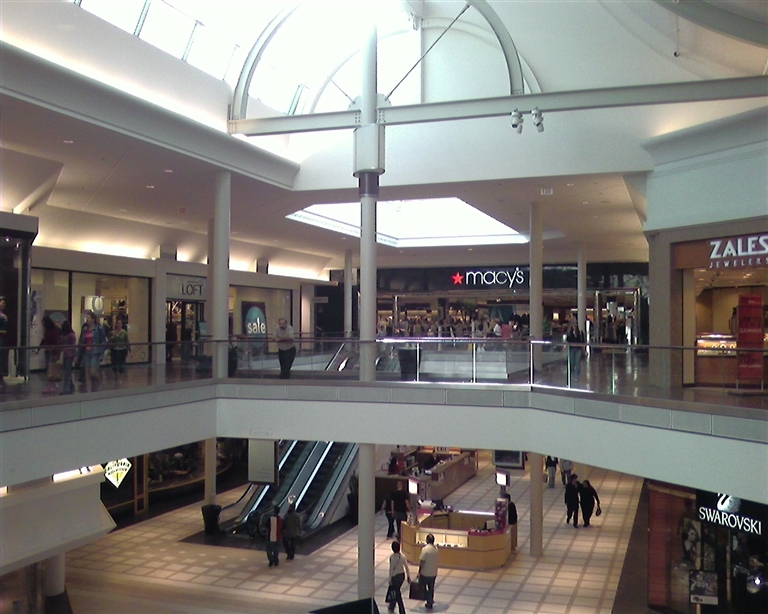 I remember going to the old, old Natick Mall and Shopper’s World with the old domed Jordan Marsh (!) but I haven’t been in the mall in years now. Last time I was there, Sam Goody was still across from the food court outside of Sears! Word has it this is one of the most tightly-managed malls around…local scuttlebutt from longtime Natick residents who had friends working there claims GGP’s cleanup crews would document wayward trash and bill the stores $100 for each piece traced back to ’em. With this kinda high-end they’re in now, it has to be that way I guess – rumor also has it that the new addition is heavily security-patrolled to keep the milling teenagers away, but that was a while back that I heard that one. The Golden Triangle’s always been a powerful force – it’s a destination, even further west than Worcester, nevermind Boston. From the pictures, I can’t really tell what/where the fountain is. Is it that black space under the huge skylight? Is it a basic waterfall or something bigger? The fountain is large but understated. It’s that large black area in the first floor of the center court (as you correctly assume, underneath the large skylight). It’s kind of in a halfmoon area and it’s basically a very flat, pristine surface, with water dropping off at the edges as it slopes down towards the older part of the mall. It’s enough to make an impression but it doesn’t have any large vertical jets or anything. Does anyone know what the prices of the condos are? You will see more projects like this as land costs continue to rise & mall owners want to fund better uses for surface parking lots other than garages. 1. transit oriented development-to put it simply, areas were people can go & do what they need to do whithout the car. 2. mixed use development-were housing, retail & other businesses share the same building or lot. Easton Town Center wich started the ball rolling. With that said Natick collection is moving in the right direction. As far as I’m aware, the condos start in the mid-400s for a 1 bedroom, go up to $599-899 for a two bedroom, and top out around $1.3m for 3 bed/penthouse units. Now all they need to do is ad stop & shop or shaws & life will be fine & dandy. Maybe trader joes or whole foods? Hmm…how about a Target, as well? And yes, certainly a higher-end grocery store. Actually, to make life truly life there, there needs to be a high-end office tower in the mall. Planning to live there, eh, Sean? I love were i live now. Jona what about you. If you could live at any mall were would you go? I open this qustion to anyone;As for me i’d go to the westchester, since i work in White Plains. That’s a pretty darn sharp looking mall. They’ve done a very nice job overall. 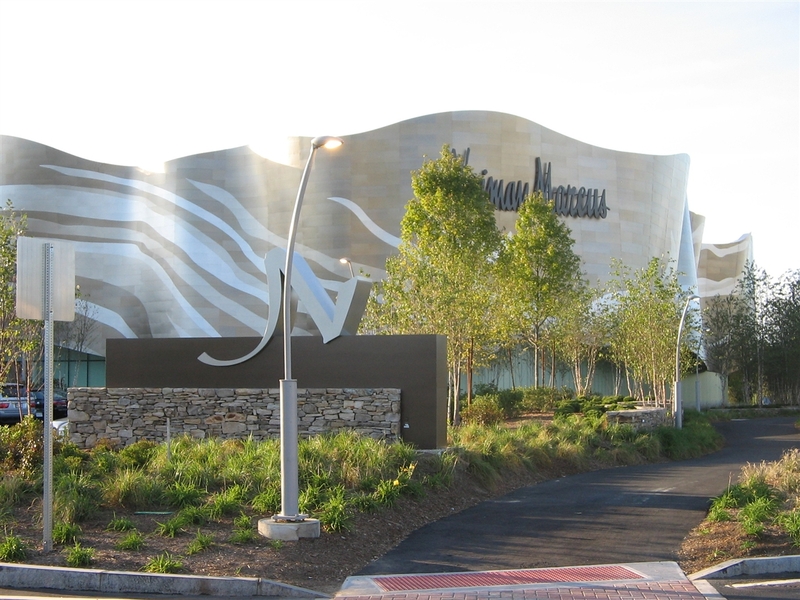 The outside of Neiman Marcus in the early evening, with it’s landscaping and lighting, are reminiscent of a Charles Lee design. Nordstrom has an upright neon style sign attached to the building near the tunnel underpass, as one would have seen on the front of an old movie theatre. The whole package is awesome. Very nice. I hope QB Mall turns out this way too. And those condos are NICE. Not bad prices either. What a sleek looking mall, it’s so different yet classic at the same time. 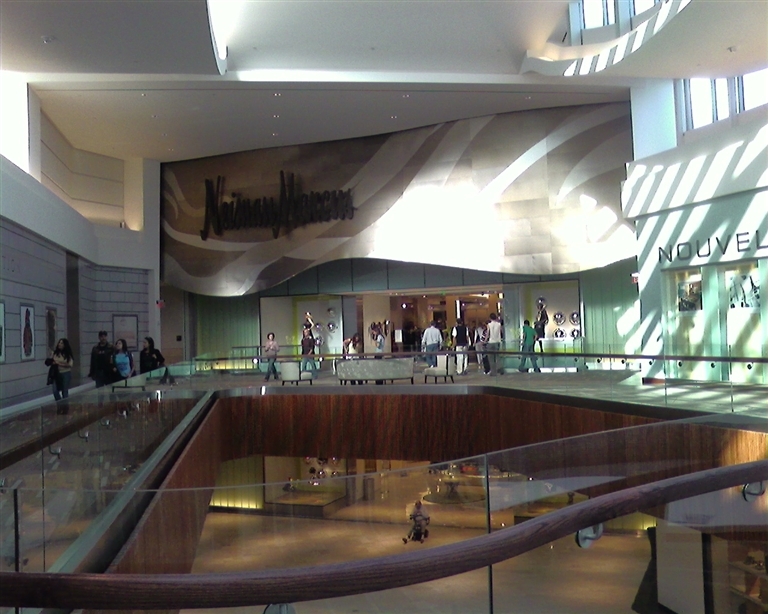 The look of the Neiman Marcus is interesting too, it’s all sloping and wonky. That Neiman Marcus architecture looks like one of a kind! Rarely do you see department store exterior architecture that is as eye-catching. Except for the skylight entrances, the NJ Neiman Marcuses seem pretty generic to me, as do the majority of department store exteriors. What does the Natick NM look like on the inside? When is the lifestyle center supposed to open? Other than the restaurants, have there been any other store announcements. 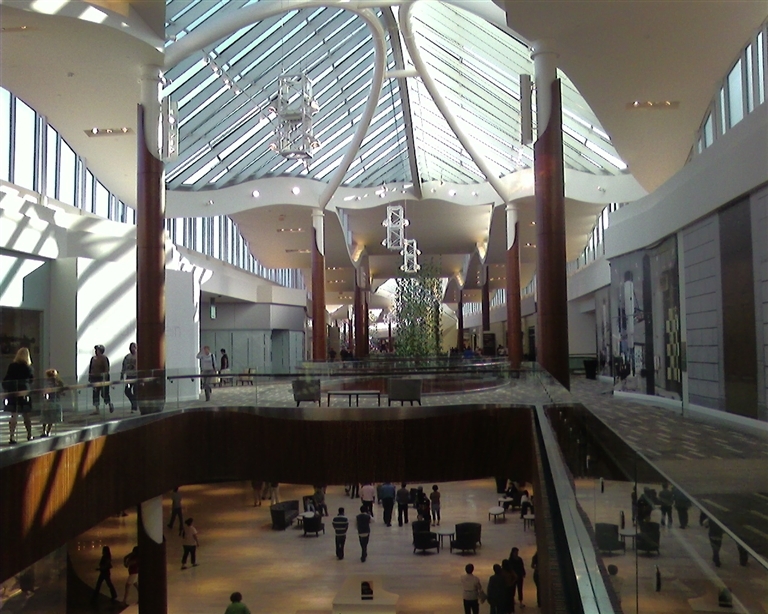 Copley Place/Chestnut Hill were my favorite Boston area malls before, but by the look of these pics and the list of stores, Natick Collection will prob. fall into that classifiication on my next Boston trip. Wow!!! Now that’s a beautiful mall. Hail the return to great malls!!! Nevertheless, I will make a date with this mall when I’m out to Mass next. The construction zone in front of the sign is a bit unappealing. This piece is awesome; couldn’t wait to see what you thought of the project. It’s really incredible inside and out. I’ll see if I can answer a few of these comments. 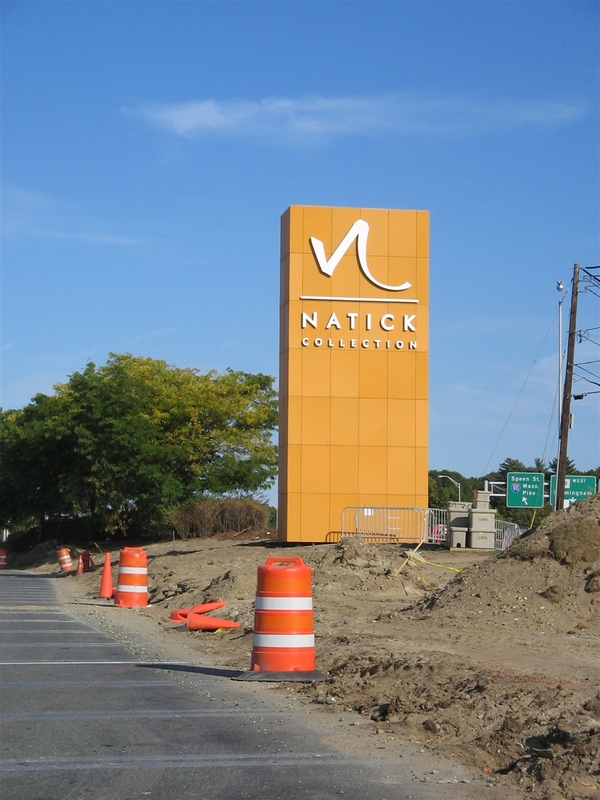 – “Collection” was supposedly the 2nd choice name all along, but not until the town became outraged at the name “Natick” did it switch. 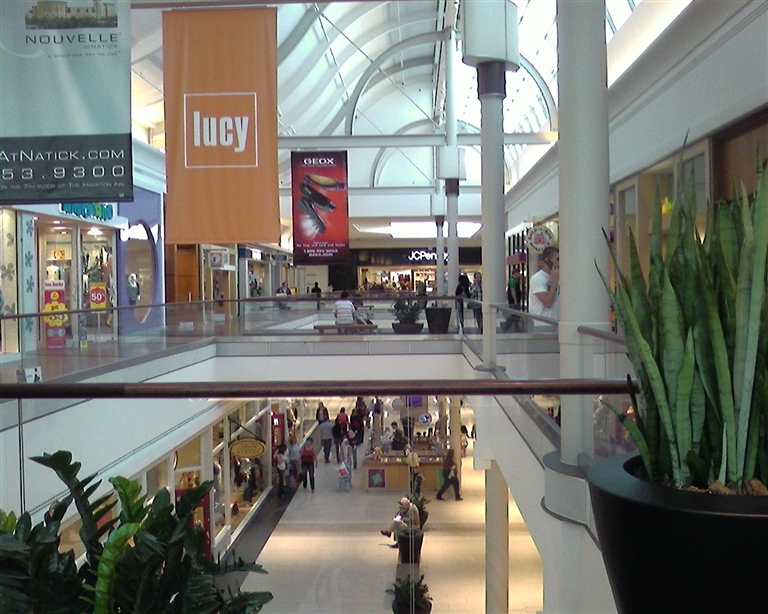 The mall has had multiple names; in the last year it was known as the Natick Mall, then Natick in 11/06, then back to Natick Mall in early 2007 before becoming the Collection in 2/07. – the front of the property is still a mess because of the construction of the “Promenade”, which we know will include Cheesecake Factory (now open), a larger, Northbrook Court-like Crate and Barrel, and a few other tenants. I believe it won’t be done until the end of 2008, there were some legal issues that are delaying substantial progress. – No need for a Target; there’s one right near by on Rte. 30… you can probably see it from the penthouse. But a grocery store would be a perfect fit, and there is a former Sam’s Club that will be redeveloped before long… though the town of Natick is hoping for a high-rise hotel. Keep in mind that there is actually a lot of mid-rise condo development going on right near the mall, it should look sleek against Nouvelle’s 12-story north tower and 10-story south tower. – There is a small spot, essentially between JC Penney and the new expansion, where a hotel will be built in the very near future. The pad is all set, supposedly GGP is hoping for a Four Seasons or Ritz Carlton (like Tyson’s Galleria). 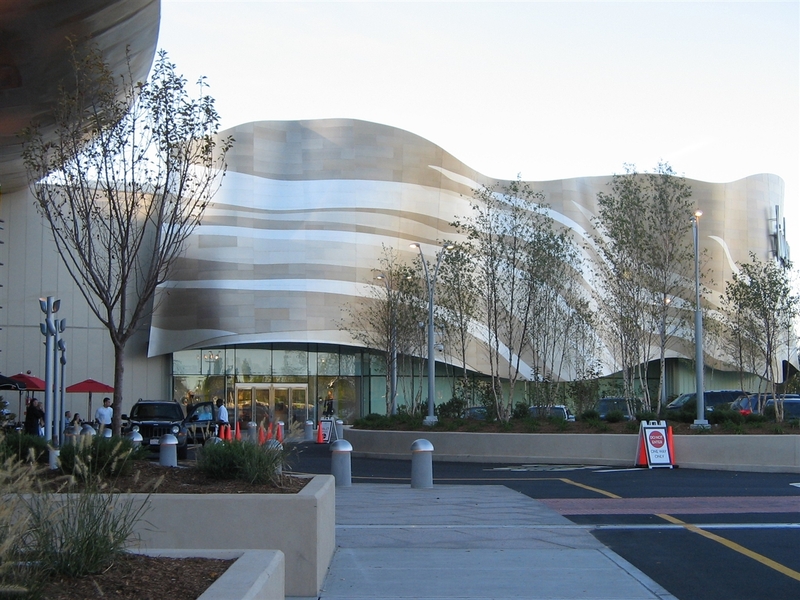 – The Natick NM is actually mostly normal on the inside, with a center atrium and skylight. NM did purchase a lot of art for the store, though, to make it look quite nice. The design has received mixed reviews locally, it’s cool the first time you see it, but it’s so futuristic that it can be viewed as an eyesore. People loved the legendary Jordan Marsh dome at Shopper’s World, so its local fanbase is certain to grow. – Didn’t see any exterior pics of the JC Penney (ex-Jordan Marsh) building here, but it is a lot nicer looking than the ex-Filene’s building that Macy’s now calls home. The Natick Mall’s Jordan Marsh was the last store that would open under that banner, and Federated spared no expense in making the 3-floored, very open building look nice. However, the Filene’s building was owned outright by May, while Federated leased the Jordan Marsh building, so there was no question when the merger occured where Macy’s would land. Glad that everyone really likes it! You know, a Wegmans would be PERFECT there. I’m gonna suggest the site. Checkout that swanky “n” logo on the pylon and that same freestanding one next to the short light post from the back. Wow! That Neiman Marcus is aboslutely stunning. What creativity! I think people will probably go there just to see that building even if they don’t shop at NM. And the inside of the mall is more creativity at work. I totally agree with Caldor that offering something strikingly different than the usual big square or rectangular shape anchor could be a way to ensure the future of the enclosed mall. Something we are mourning the loss of everyday that you read about about a new lifestyle or mixed use center being proposed, developed or opened, taking with it the creativity like this as well as the stores from the great indoor malls. Long live the super regional “indoor” mall!!! Now why can’t most malls look like this? But the new Sears logo is well, cheap-looking. 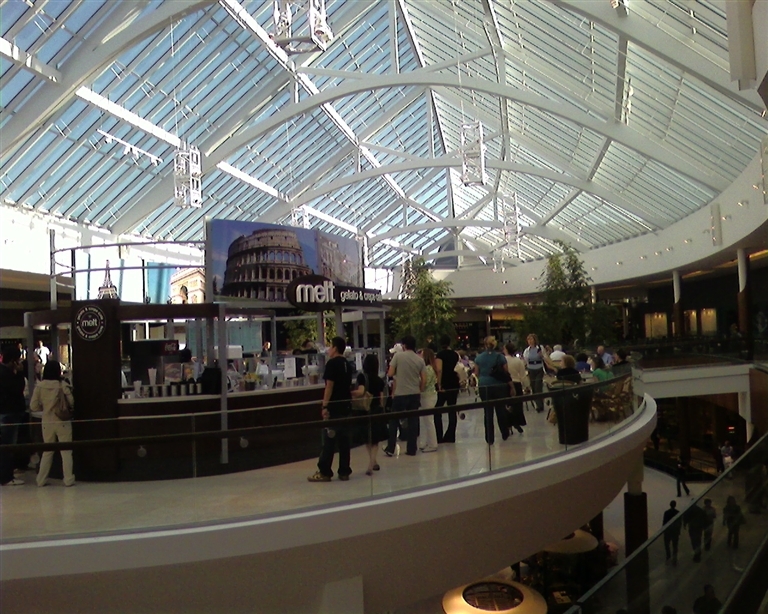 Very nice mall, but the food court did NOT seem to have enough tables to support the number of shoppers they had (visited in October). I can only imagine what the food court is like now, with Christmas coming! Also, their going to have a few, big empty store fronts in the old mall, with Abercrombie & Fitch and WIlliams Senoma moving to the new wing. Crate & Barrel is also moving. Hopefully they’ll find new tenants quick. Also, the mall doesn’t blend together nicely. For example, the new wing is wide, carpeted and has plenty of room. 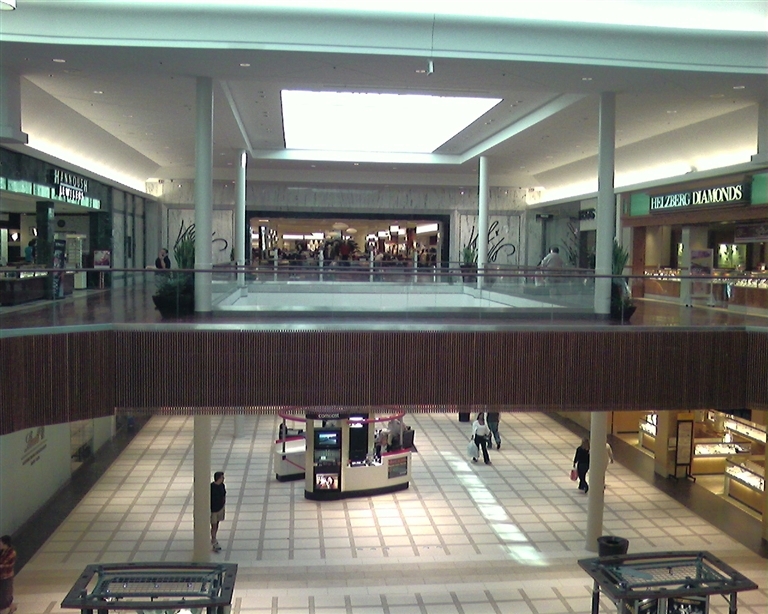 The old mall is cramped, not very wide and has regular floors. Looks odd. But all and all, the mall is beautiful and defineitly worth a visit after the holidays. Natick is pretty impressive….one poster wrote that some stores have decided to move from the older section of the mall to the new ( AF & William Sonoma) dont be too worried. The AF is actually not moving the barracade that is in the new section though labeled AF is actually a new brand that will lauch in late Jan. and William Sonoma is going to be split into two additional stores. 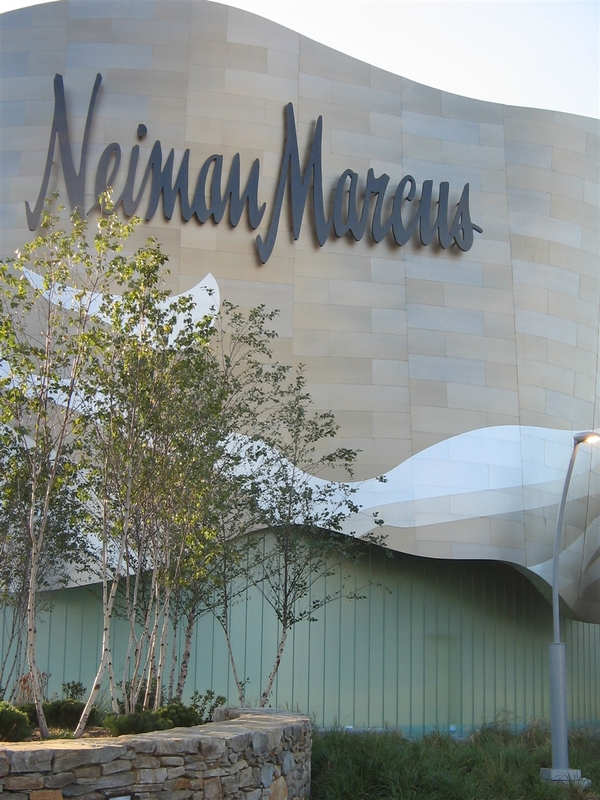 This mall is a monstrosity and should be torn down immediately, especially Nieman Marcus with its Gehry wanna be curvature which sits on a regular old wall and isnt even the skin of the building. Please go to architecture school, then come to this website and write about the mall when all you degenerates know what you’re talking about. MOD COMMENT: I should note that the above comment came from the IP registered to Arrowstreet, the Somerville, MA architecture firm responsible for the design of the expanded Natick Collection. Clearly there’s some internal bitterness about how it’s turned out! It’s a bit ironic that the first tenant on the store listing on the website is “90’s Nails”. It’s not just irony, it’s cruel irony. Guess which section it’s in! A Google Maps shot reveals the Natick Mall in its 1994 new mall look, and a parking deck in the rear of the mall (presumably demo’d) and a large dirt lot where the expansion was built. What happened to “Natick Mall Rd.” and the intersection? Did it just close off or change into some ramp for some new parking? In the video of the demolition of the former Natick Mall, you can clearly see Ames (in the beginning). Later in the video they mention the area is “Sherwood Plaza”. Ames and Sherwood Plaza were across the street, on the south side of route 9. Interestingly, that Ames store–which was originally a Zayre–adjoined at the back to the building that housed the Zayre World Headquarters. That store is so old that it began life as a Zayre precursor called “Framingham Shoppers World.” Today, the Ames store has been replaced by Christmas Tree Shops, and the old Zayre Headquarters complex is the home of the headquarters for BJ’s Wholesale Club, which was originally a Zayre offshoot. Interestingly, the original Zayre company still exists. It spun off most of its divisions (including BJ’s and CVS, and sold off Zayre itself to Ames) and hung onto one of its most profitable concepts–TJMaxx–while renaming themselves to reflect their new business. Today, TJX is headquartered about a half mile north of the Natick Collection. just an fyi for all interested, a&f’s new concept (gilly hicks) has opened. I wonder how many of these upscale stores will survive the looming recession. Hopefully the expansion doesn’t turn into a complete failure. The recession seems like it will affect the wealthy as well, who usually are resistant to the economy. That can’t be good new for stores in the expansion like Tiffany and Gucci. In response to Jonah’s questions – yes, the parking garage behind the mall was demolished – structurally it was in really bad shape, but it needed to go anyway so that the two malls could be connected. The expansion didn’t take up the entire footprint, what land was left over will become an upscale hotel in the near future. The Natick Mall Rd/Speen St. intersection remains and was improved. As for the road itself, it was closed for 6 months so that it could actually be buried under the mall expansion. After passing Sears, you go underground, and come up just before JCPenney. 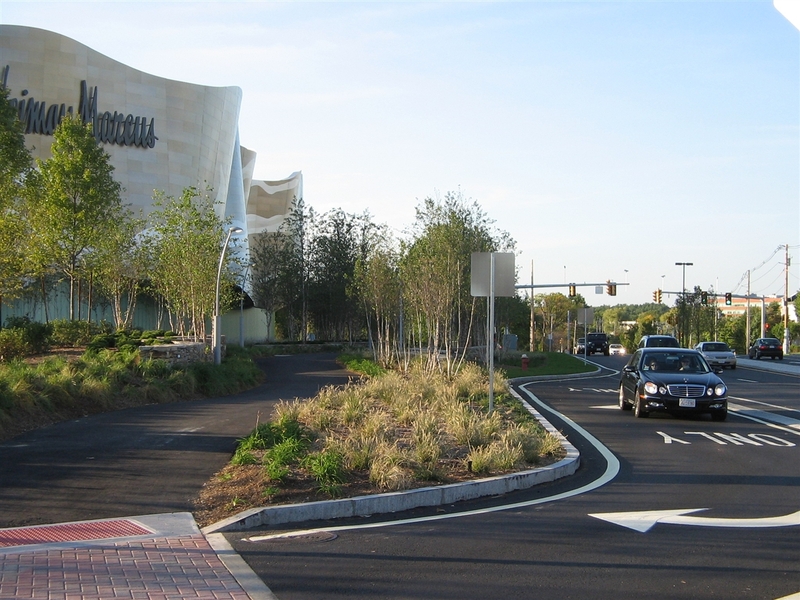 Rotaries have also been added at the intersection of Natick Mall Rd/Flutie Pass and at Natick Mall Rd/Nouvelle Way (a new road which goes around the perimeter of the Wonder Bread site to Speen Street). 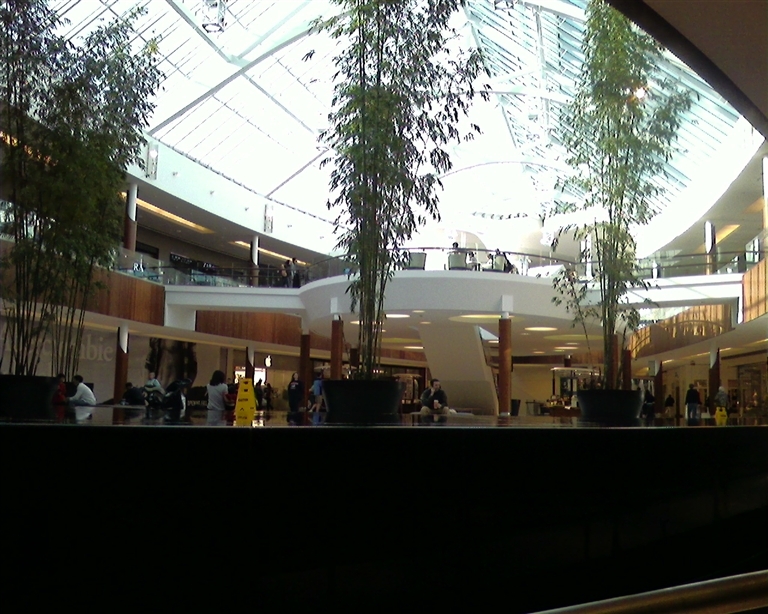 The new section of the mall is beautiful and I really do love it. 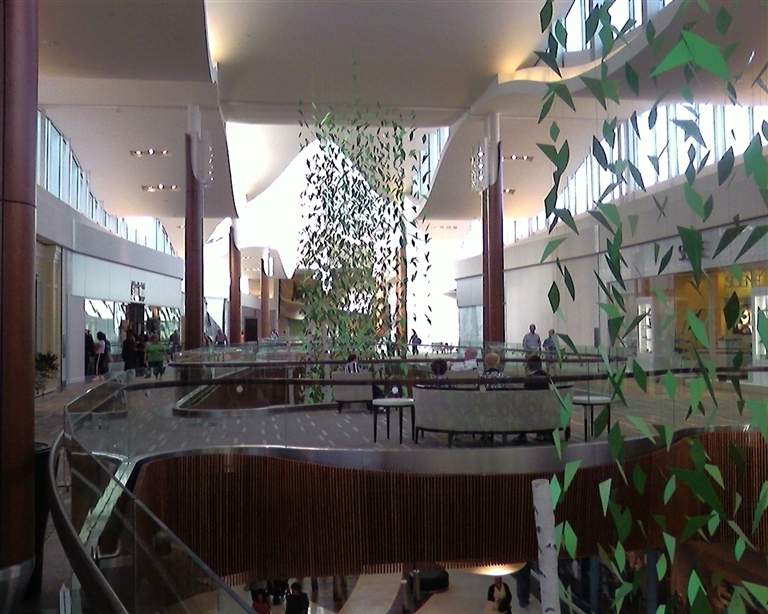 The new stores and scenery really help the mall make the big jump to an “upper class” mall. Sadly, unless you plan on driving around in the parking lot for hours and having to walk a mile just to get to your car, you won’t be able to enjoy it. Don’t even bother trying to get to the mall on a friday or saturday night, it is infested with middle schoolers and the parking lots stay filled to the limit. I was at the mall just this past weekend and it took me 30 minutes alone just to find a space, not to mention that it took me another five minutes to walk all the way to the mall. Also, as I work in natick by the mall, I’ve found that since the mall opened late this past summer, I have had to leave my house for work 15 minutes earlier simply due to the horrible traffic that the mall causes. It’s ridiuclous. I LOVE the new mall, with all its glamour but I cant seem to find the names of some old closed down stores. I loved a magical little earth store and I wish it was still there. The way they expanded this mall is good. 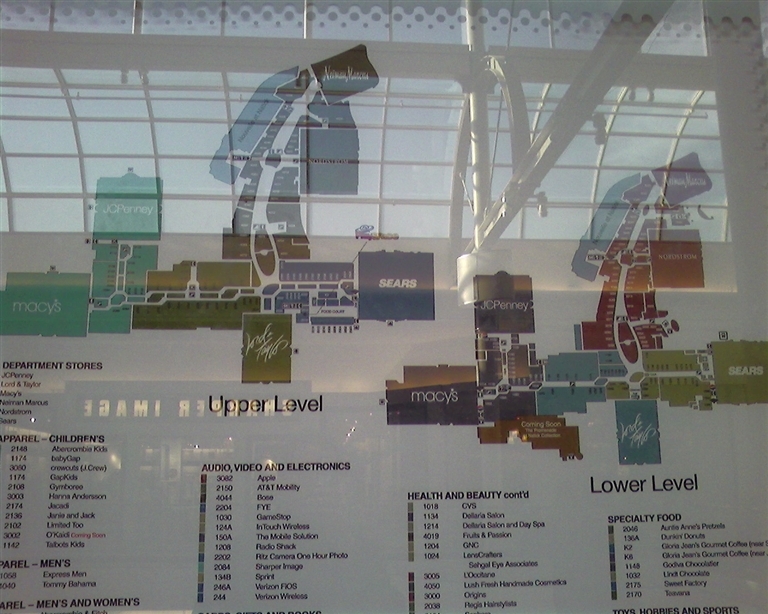 The map makes the mall look deformed. And what’s with the design of Neiman Marcus outside! I opened an Irish Import store in the mall in September at the time of the grand-opening of the new wing. The mall is fabulous and worth a trip if you haven’t been there yet. I remember the days of Woolworth’s and York Steakhouse, as a matter of fact we operated on a pushcart in the mall in the late 80’s. We have had a great response from customers and they love our store, I just feel so small in a sea of huge retailers. I’m hoping we can make a go of it. Even during the Christmas season I’ve never found it terribly difficult to park. The parking garages in the back of the mall usually have plenty of parking. Just out of curiosity, Cheryl, how much do the rent / leases go for at the Natick Mall? I’m assuming a good amount more than other malls in the area. I’ve been to the Natick Collection a few times, and while the first time was interesting to see, I must disagree with many of the comments; I don’t think it’s all it was hyped up to be. If I had a million dollar budget for clothes, I certainly wouldn’t drive out to an area blighted with industrial parks, cheap strip malls, gas stations, and endless traffic just to shop at a mall. I’d hop on a plane and go to Paris, or Milan, or at least Rodeo Drive if I want high-end stores. Natick just hasn’t got the panache or the atmosphere to make the upscale shopping experience complete. In regard to the condos there, I can’t imagine anyone foolish enough to want to LIVE at a mall. There’s more to life…..I do agree with one comment above, that the old section and new section do not blend well at all, and the old section is, and always has been, hideous from the outside. While I do believe the high-end retailers offer better quality, one doesn’t have to pay Neiman-Marcus prices to get quality. I think in regards to Natick, those who have the money are apparently spending it elsewhere, or on something more worthwhile than a MALL. I detest the worsening of the traffic in the area and don’t talk to me about mall mitigation money for area road improvements – where the heck did that go? 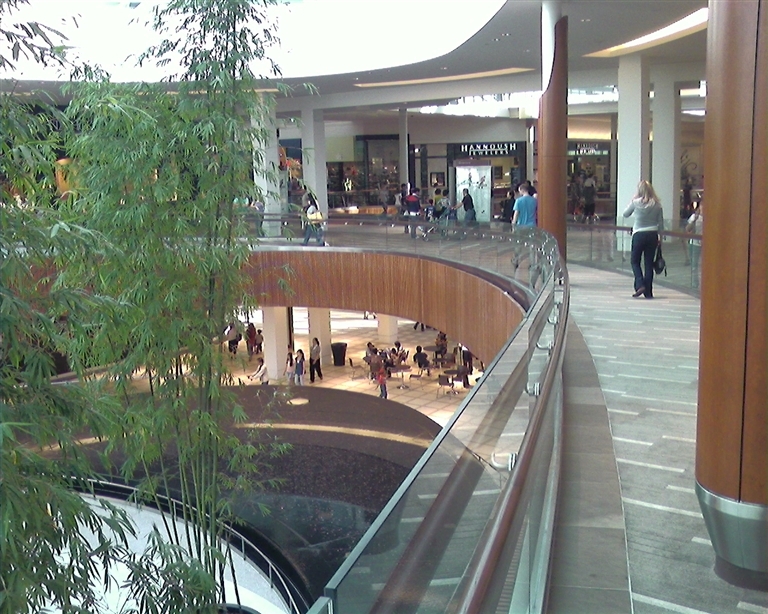 But that being said, I think the Mall itself has been improved looks-wise but not really retailer-wise. Being a lifetime resident of a family that traces its roots through many generations in Natick, I remember the original 1966 version which I’m very nostalgic about (I worked there briefly in the 1980s sweeping floors, cleaning the fountain, and picking up endless blobs of dropped ice cream cones from Brigham’s). 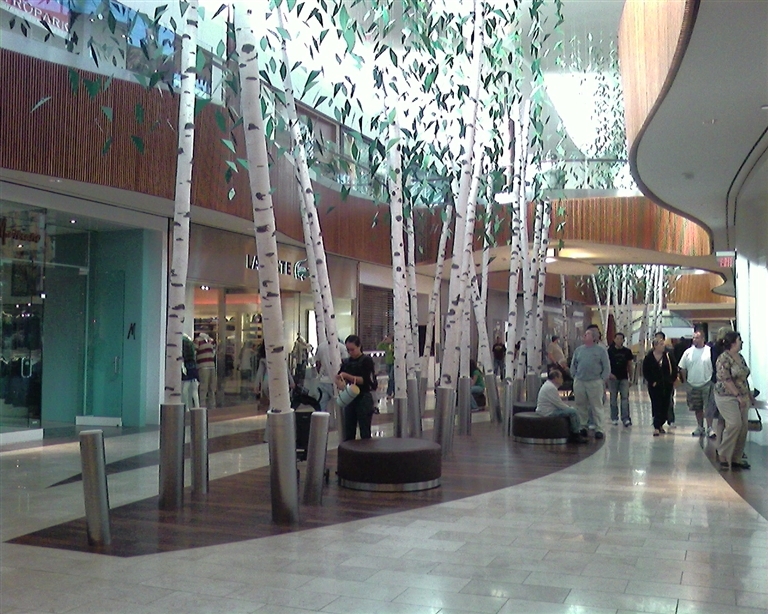 Natick Mall mk1 was nicely decorated at Christmas time, especially the garden area around the front of Filene’s. I know that sadly, this Mall had to evolve or die. The problem is that despite what the clowns that run the town of Natick try to do, Natick just can’t achieve that degree of chic to attract the high end shopper (though they certainly tax residents as if they all were rich, forcing many into having to move away). This lack of upscalability does not bother me, as I’ve no use for overpriced stores and I’m admittedly fashionably-challenged anyway. 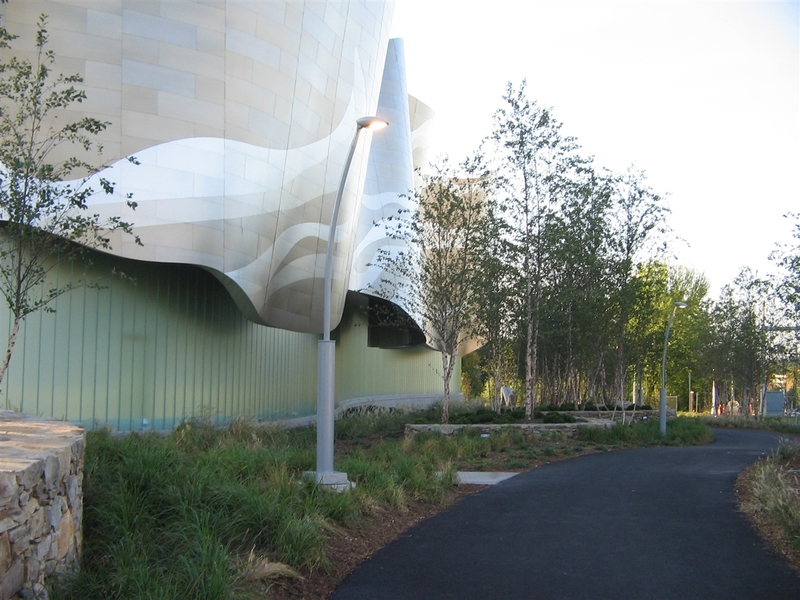 The area around NM is tastefully done; that skirt facade… well, it doesn’t look that much like a skirt so much as just a wavy artsy design. The landscaping around it is classy; I hope it spreads around the whole mall. I’m in agreement with what JF said. If I was rich I would’nt go to a suburban mall for my clothes, I’d go to Europe or Manhattan. I don’t see why every time a mall renovates that it has to be more “upscale”. Outlet designer stores seem more resaonable for suburban malls and you get the same kind of designer stuff for cheaper. It still does’nt make sense for me to have everything be upscale for every mall. I live in the Portland ME area and have family in the Hartford CT area, so sometimes in my travelling back and forth, I’ll stop at the “Collection” either to walk for exercise or have lunch. 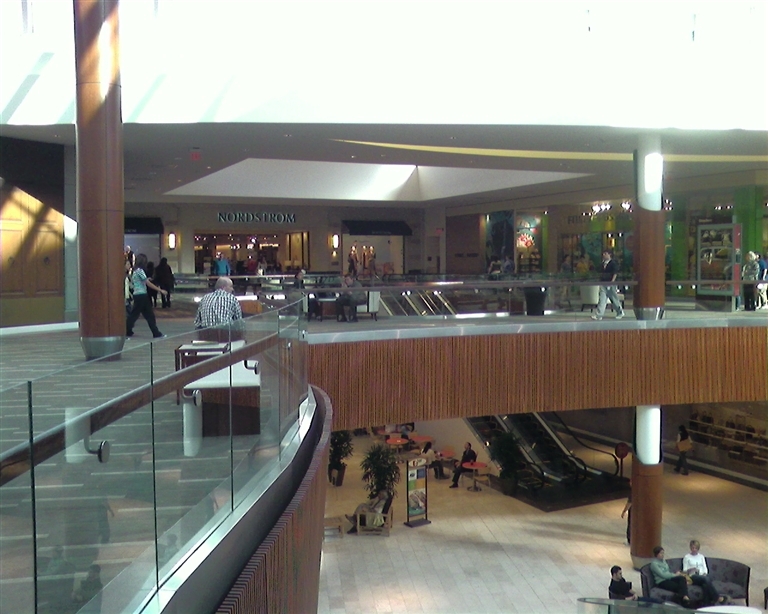 I was in Natick on July 13 for lunch, and I walked through the entire mall. Neither section was particularly busy, which was fine because it was a beautiful summer day, and there a lot better things to fill your day without shopping in a MALL. But it was the near total absense of human inhabition in the high-end section that really makes you take notice. I could have done cartwheels down the center by the birch trees, and only 3 or 4 people would have noticed. 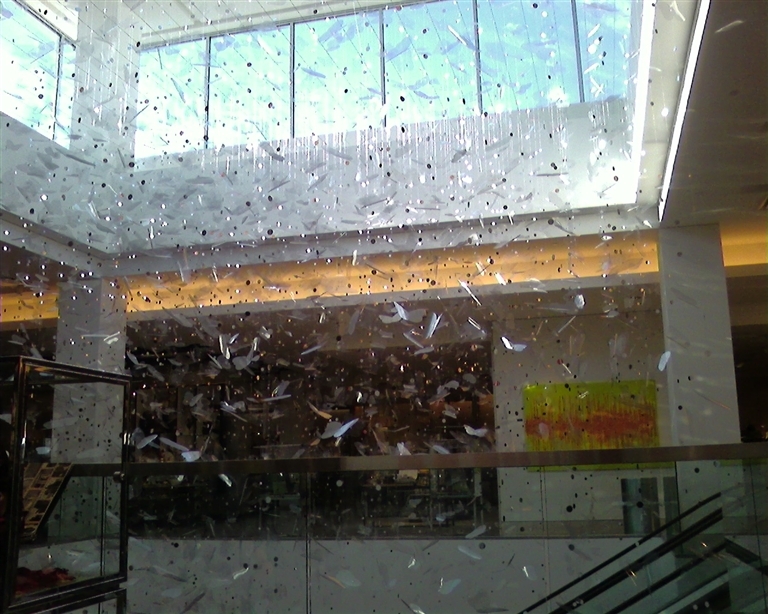 Up on the second level toward Neiman/Marcus, I was the only one there,aside from a custodian cleaning. This no exaggeration! Now I admit I wasn’t there to shop anyway, but being from Portland ME I know that our MAINE MALL has customers all the time, no matter how beautiful or freezing cold the weather! It looked to me as though market research pinpointing Natick as the new Rodeo Drive was way off! I stated earlier that I wouldn’t go to Natick to shop if I had the money to spend; I would go to Beverly Hills or Paris, but apparently a lot of other shoppers agree. The “Natick Collection” obviously is not catching on. I’ve been looking at a lot of the comments on malls in the Boston area but I really have to add my 2 cents in on Natick. I heard all of the hype before it opened. I live in Boston, so I usually just go to the Prudential Mall or Copley Place, or Newbury. But, I figured I needed to check the Collection out. So, I GOT MY CAR and headed out to the burbs. I gotta tell you, I like high-end stores so I’m all for the NEW section of the mall. However, I don’t like the layout of the new part, although it is somewhat classy looking. The biggest problem with that mall, besides the lack of parking spaces, would be that the new part looks MUCH nicer than the original part of the mall. In fact, I was EXTREMELY DISAPPOINTED when I walked from the new part into the old. I have been in other malls which were old and outdated (example would be Burlington Mall in Burlington MA) but the Natick Collection is like one really nice wing with one extremely average old mall attached. I like the Needless Markup (oops.. I meant Neiman Marcus) facade. I think it’s wild and awesome. Love it! But, overall, I think the old mall should be torn down and a new area built to match what the new and nicer part of The Collection looks like. The old part feels tacky and I think it was very poor planning. 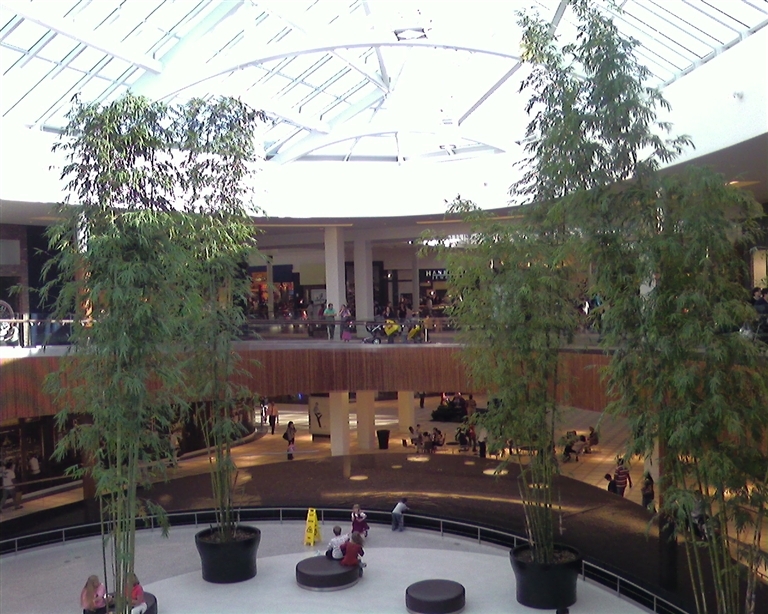 And seriously, why the town of Natick to put in a nice mall? I think that one of the areas that need upgrading in town (Downtown Crossing for example) would have been a better choice to do something drastic to. But, downtown crossing’s time will come very soon and it will go way upscale I’m sure. i live at ther natick collection!! I’m sure someone out there knows the answer to this: How long is the lease that most of these new upscale stores sign? I heard that the APPLE store in South Portland signed for ten years, as did FOREVER XXI and H & M, but it would seem to me that some of the upscale stores must be getting a bit nervous, what with the lack of customers. I went back yet again (for punishment?) and it was still the same – quite a few in the old section and very few in the new – almost NO ONE in the new section upper floor. But I agree with Mike, the two sections don’t flow together well, the NEIMAN MARCUS is very creative but the old section is nothing more than a concete slab. In Burlington, even though there have been many renovations, its feels like one complete mall, with every section receiving the update. I’ve always liked Burlington – great mix of stores, always good new additions – much more pleasant to shop in than Natick to me. Most stores do sign 10-year leases with options to extend. However, if a store under performs the company or mall will terminate the lease. In some cases a store will close & the company still makes lease payments to prevent compitition from another company. An interesting example of this is taking place at Menlo Park Mall in NJ. A former location of California Pizza Kitchen in the back of the food court closed in the 1990s. for 15 years it has been walled up, I visited a month a go & noticed the wall was removed & looked as if it was going to reopen. When I went to the customer service desk, I was told that nothing was going in that spot until the lease was up. It has been over 10 years since CPK closed I said, & that’s when they told me about them still paying rent on that location. There maybe a chance that CPK reopens, but I wouldn’t count on it. On another note, Taubman Centers, owners of Woodfield, Short Hills & Stamford have 6 year leases with performance benchmarks. You maybe doing fairly well, but if it doesn’t mesure up to there expectations you lose your lease. Even after 1 year. They wont wait for you to grow your customer base, you must be ready from day one. A couple years ago, in Short Hills, Houlihan’s and Sbarro used to be there. They apparently didn’t do well and were replaced. Taubman is notorious for leases ending short. Like when Versace, John Varvatos, Nicole Miller, and DKNY suddenly left Short Hills. I was sad to see Houlihan’s go as it has been there since the 1995 expansion. Honestly, I was not much surprised as it was rarely crowded. The same for Ruby Tuesday, which was replaced by Qdoba. The two were pushed out in favor of Legal Sea Foods and CPK, respectively, because of their potential to get a better financial return for Taubman. I heard that Neiman Marcus at the Natick Mall might already be deciding to close. Things aren’t looking good for the Natick Mall. If (when) GGP files for bankruptcy, Simon will probably take over the mall, and Simon malls are pretty crappy. Northshore Mall in Peabody just opened its new wing a couple of weeks ago, and the stores that are open (Sephora, Zara, Teavana, Lush Cosmetics, Geox, Bare Essentials) are DEAD. 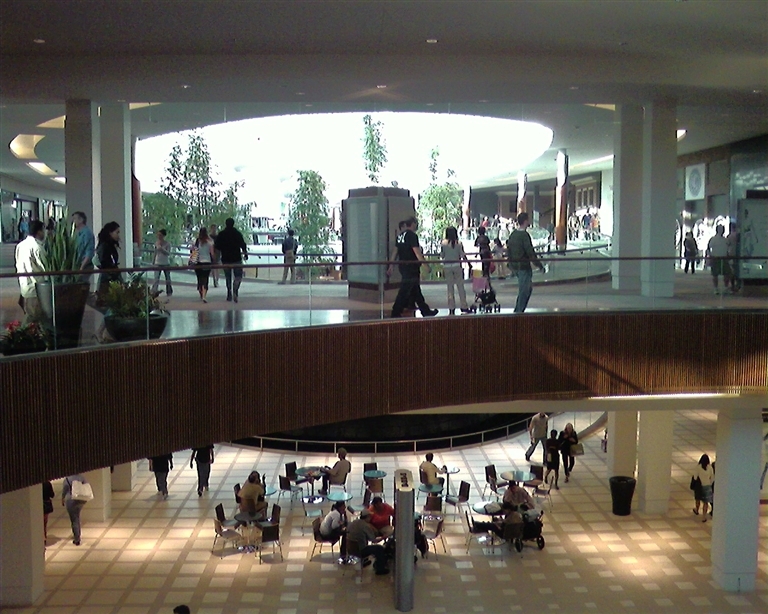 The people that are browsing in the Northshore Mall are just window-shopping. Those new stores in Northshore are not dead these days; probably just an off day things looked dead there. As for Natick, the ultra high end stores continue to see a shortage of traffic, while the traditional part remains busy, including the new Crate & Barrel, and the American Girl Store. I work less than a mile form the Natick Collection and have yet to set foot in the place. I think part of the problem the Natick Collection is having is due to the fact that the developers appear to have seriously over-estimated their shoppers’ mentality. For the uninitiated, Spag’s was a wonderfully eclectic no-frills “warehouse” store located 13 miles west of Natick in Shrewsbury, MA where one could buy anything from a hammer and nails to gourmet foods to grandfather clocks and genuine Persian rugs all at ridiculously low prices. People would travel for miles to grab a bargain, and Spag’s was a much-loved part of the community..
Spags has since closed – but generations of shoppers in the area grew up knowing what a bargain was – and these people simply won’t pay $500 for a pair of jeans @ Neiman-Marcus when they can get something similar for 1/10th of the cost at an off-price retailer like TJ Maxx, Marshall’s, Loehman’s or Filene’s Basement (all of which have outlets within a one-mile radius of the Natick Collection) or even the Premium Outlets in Wrentham which are less than a 45 minute drive from the area. 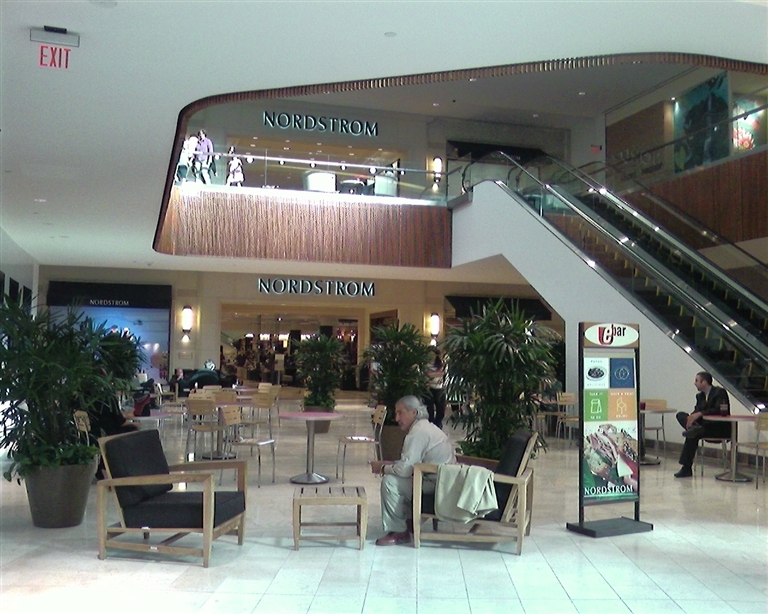 Additionally, the Mall @ Chestnut Hill (10 miles east of the Natick Collection) has a similar roster of stores in a smaller setting – but is anchored by the only Bloomingdales in New England and has no apparent lack of parking. Plus, there are still a number of storefronts that have never officially had a store open since the new wing opened. General Growth’s solution at the moment is to fill one of the stores with a temporary, cheesy oriental gift store in the new wing – I doubt this is what they were hoping for.Two retailers have dropped out of the project altogether (Piazza Sempione and Lauren Ralph Lauren). There were so many lofty expectations for the expansion and it has certainly not delivered. Some retailers they should considering opening in the new wing to fill the many gaps include – H&M (a store people can actually afford), A/X Armani Exchange, and Pottery Barn. Did the CPK in natick mall shut down and moved because the existing location was EXTREMELY unsanitary and caused food illness’ to its customers? I don’t think that’s the reason why they moved locations. I think the new mall entrance will be where the former California Pizza Kitchen is located. It probably also makes more sense to have a higher profile storefront to attract drivers on Route 9 also. I used to remember when it had a big boat full of Looney Tunes characters. This when Warner Bros. Studio Store was in business. Thank goodness they still have The Disney Store (I think). The mall is finished, you guys need to update the description. There is no mention of the auction of the unsold condominiums in the new wing. Allot of them went for a third or less of the original selling prices, including the $1 million dollar penthouse units ($275-350k). It appears the hotel net to Penny’s is a non-starter also. I haven’t visited the Natick Mall … excuse me the Natick Collection in almost a decade. 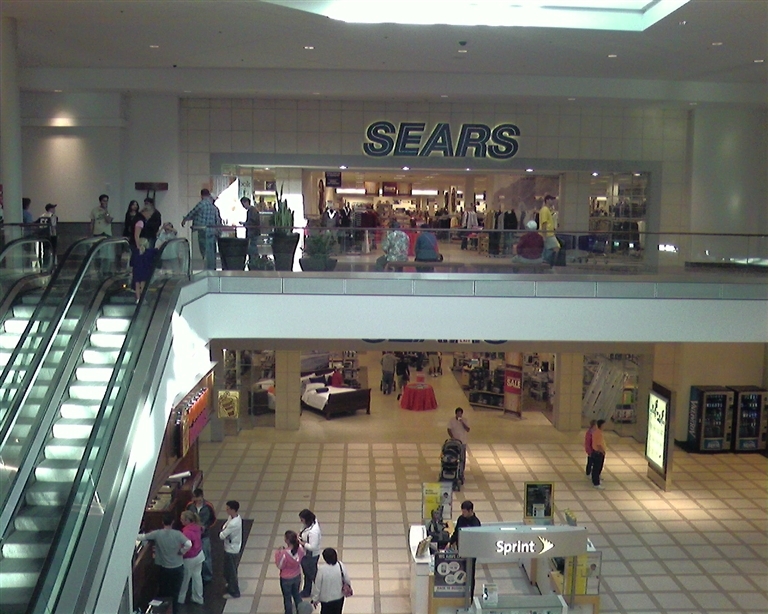 What happened to the Customer Service desk right by the Sears Anchor store? I used to work as Customer Service as well as Public Safety. @Stephen Atwood, I heard that GGP axed its customer service centers at all of its malls. Kind of a bad decision in my opinion, especially at this time of year with all the holiday shoppers. Still there @ Bridgewater Commons and Willowbrook. And if they did get rid of it @ Willowbrook, I’d be upset since they got rid of a fountain in favor of an expanded customer service booth. Just got back from the Natick Collection. There was a decent number of people in the mall but mostly in the old wing. 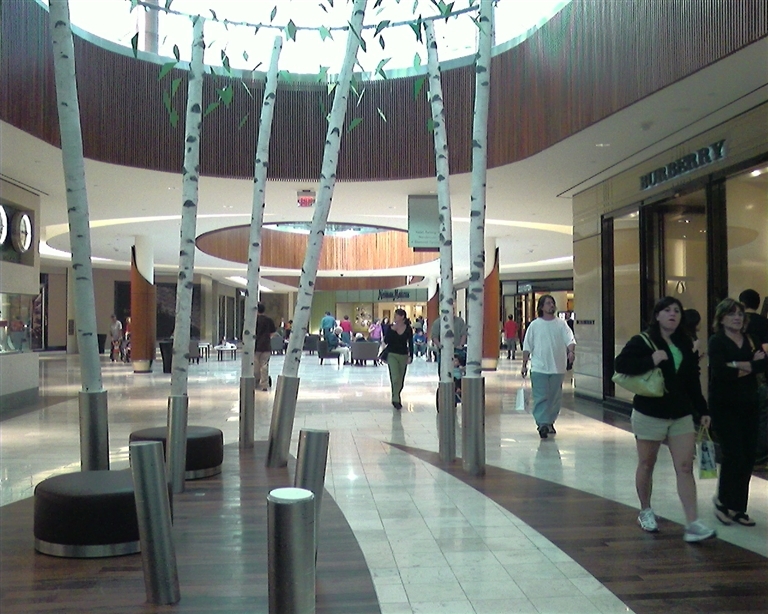 The new wing had a lot of foot traffic, but very little shopping traffic,minus a few stores (Apple,Northface,etc. )..Calvin Klein had ZERO customers in it. I think General Growth went WAY overboard expanding this mall…the guy at Under Armour said some stores in the new wing were considering closing(but didn’t mention which one’s). Yep, I was actually quoted in the Boston Globe article, and Labelscar was mentioned! @Caldor, Can you post a link to the Globe article? @Caldor, Great quote & so true. 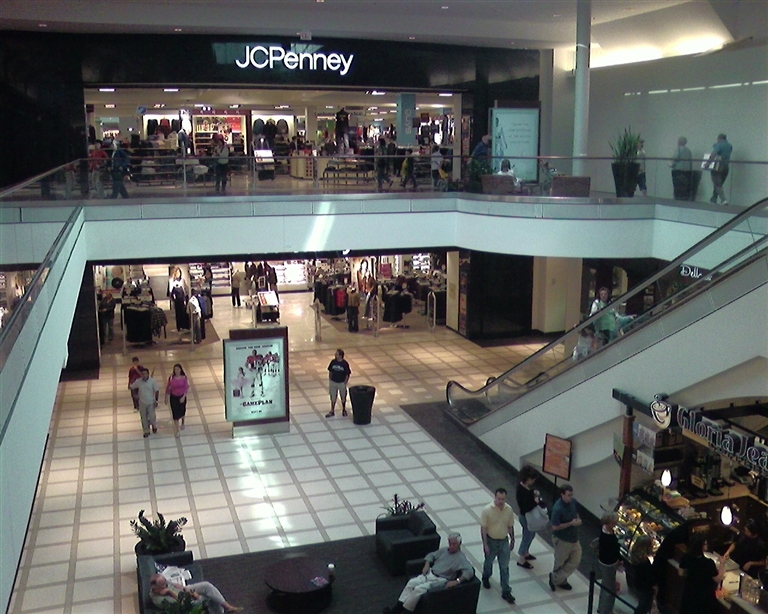 JCPenney is closing on August 28… I wonder what the mall plans to use the space for, or if JCP has already found another store(s) to take over its lease. I used to work for JCPenney (in another location), but left the company a few weeks ago…The Natick store was a money pit from the day it opened. The store is beautiful, albeit oversized for a JCPenney at over 200,000 sqft. 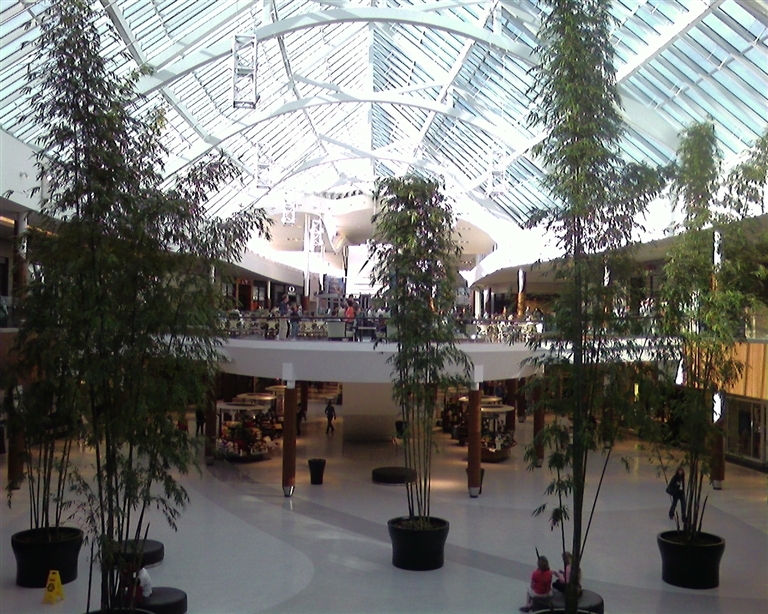 When I lived in Framingham (the largest town in Massachusetts) in the 1980s, I loved Natick Mall. 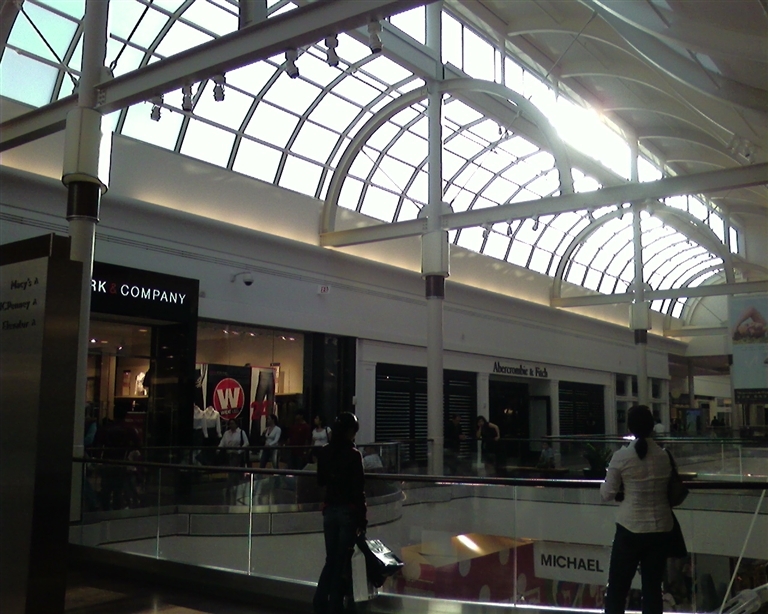 It was better for general shopping than Shoppers’ World or Sherwood Plaza, and far better than the unnamed Rt. 30 mall. But nowhere on the Web do I see mention of (for me) the best store in Natick Mall, the enormous (for the time) department store Lechmere (pronounced Leech-meer). Lechmere was, like Filene’s, family-owned, but it sold goods cheaper, at better quality, and lined up electronics goods so you could easily compare different models, then reach below for the box you wanted. I bought an American-made Hoover vacuum cleaner there that is still working for me perfectly. I bought towels that I’m still using. Their products really lasted. I’ve never had a better shopping experience before Lechmere or after Lechmere, and I was sorry to see them go out of business toward the end of the 80s. There is a good Wikipedia article on Lechmere, and still a T Stop at Lechmere Square in East Cambridge.